The India Mark III hand pumps are sturdy and robust pumps, with conventional action lever, that can be installed in shallow to medium-deep wells. 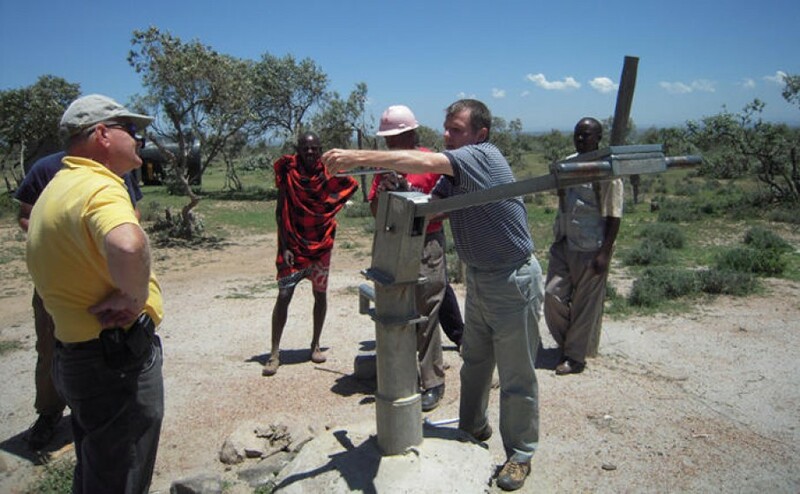 The pump is designed for heavy-duty use and can serve village communities of up to 300 people. The configuration of this pump is very similar to the India Mark II, except the down-hole components, which were slightly changed and modified to make the hand pump more suited to village level operation and maintenance, with simpler tools and lesser cost of maintenance. The most decisive modification was the open top cylinder that allows for the removal of the plunger and foot valve without the extraction of the cylinder and rising main. 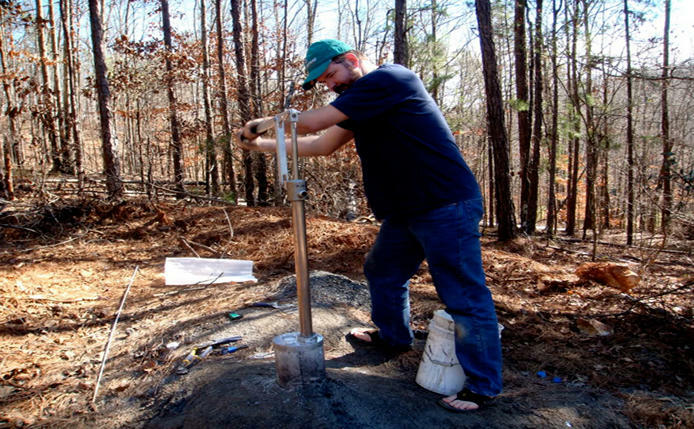 The pump can be installed in a borehole or a dug well. Maximum recommended a lift for the India Mark III is 30 m. Apart from the standard 63.5 mm configuration, there exists a version with Ø50 mm cylinder size for lifts of up to 50 m. The pump head, handle, water tank, pump stand, and pump rods are made of galvanized steel, rising main of galvanized GI pipe, pump cylinder of cast iron/brass, plunger and foot valve of brass. This pump is not corrosion resistant and this limits its use to areas with suitable water conditions (pH value<6.5). It delivers a maximum stroke length of 125mm and the water discharge ranges from 0.8 to 1.8 cubic meters per hour, depending on the head dimensions, which range from 30m to 10m. The Cylinders are available in Ø50 mm and Ø62.5 mm. All the above-ground components of the pump can be locally manufactured, however, the other components require a high degree of quality control check while importing, to ensure a reliable operation. The cylinder can be installed and repaired using simple tools, which allows for hassle-free repairs by trained locals, including women. comprehensive and detailed user manuals along with toolkits are provided along with the product to ensure hassle-free and easy installation, besides smooth repairs.